Twelve Sri Lankan groups signed the letter. At least six million people regularly use Facebook on the island. The letter demands action to protect personal data and prevent another Cambridge Analytica scandal. 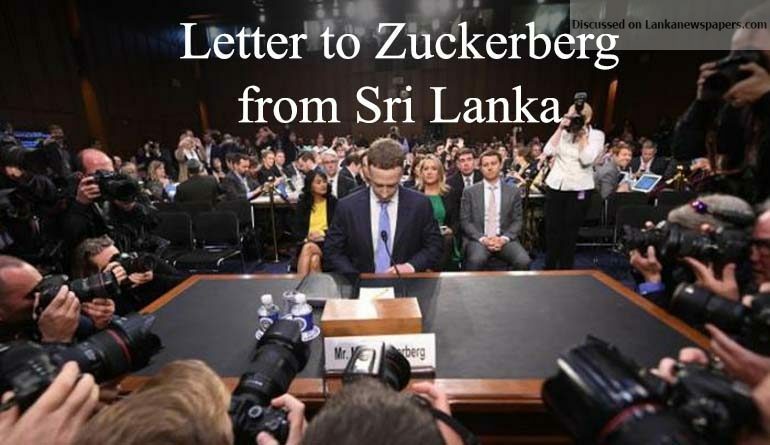 Twelve Sri Lankan civil society organisations sent an open letter on 10 April to Facebook chairman Mark Zuckerberg, asking him to take action against religious hate speech and posts that foster violence against women on his social networking service. “We are very pleased that Facebook recognises that there ‘is no place . . . for hate speech, incitement to violence, and other content that violates . . . Community Standards’”, said the Centre for Policy Alternatives, one of the groups that signed the letter. In the wake of the Cambridge Analytica scandal, the letters calls for action “to ensure Facebook’s Community Standards are implemented in local languages and contexts”. It goes on to say that following clashes between Muslims and Sinhalese Buddhists, Sri Lankan authorities blocked access to the social networking service to prevent the spread of fake news. In March, a Facebook delegation met with Sri Lankan government officials to stop harmful content on its service, which has six million active users per month in Sri Lanka.